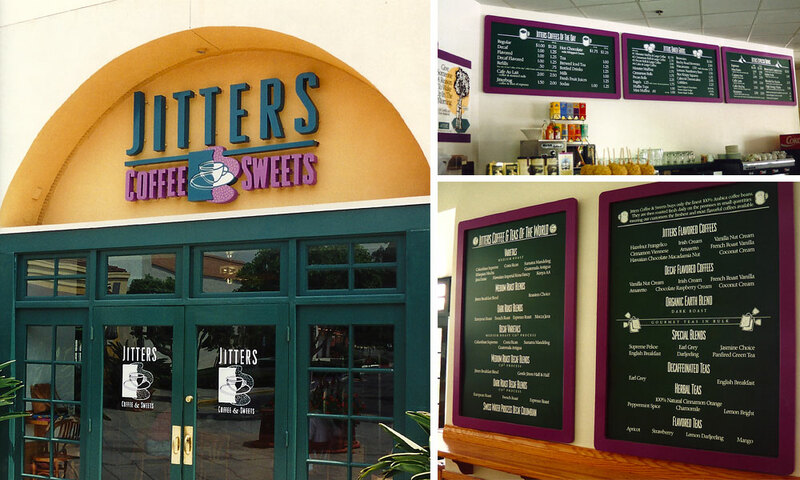 Jitters Coffee & Sweets started life as a Kelly’s Coffee franchise. 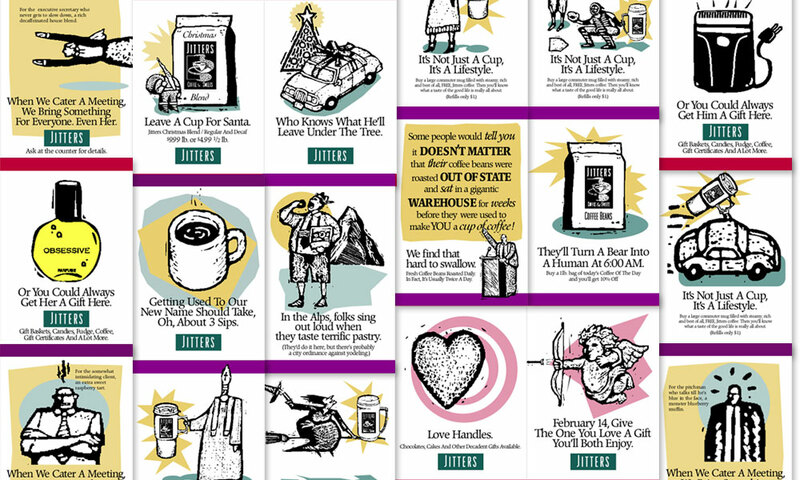 When they approached us, they were a new player in the gourmet coffee industry. On-site roasting and delectable muffins, fudge and cheesecake were their trademark. BrainShine gave them their name. Created their branding. And designed and installed their interior and exterior signage. To begin with, we created their logo – a blend of the traditional and the hip. Sort of like their decor and attitude. Seen here are just a few samples of the many POP signs that were designed. As a loyalty marketing campaign, we created these two clubs that featured freebies based on purchases. 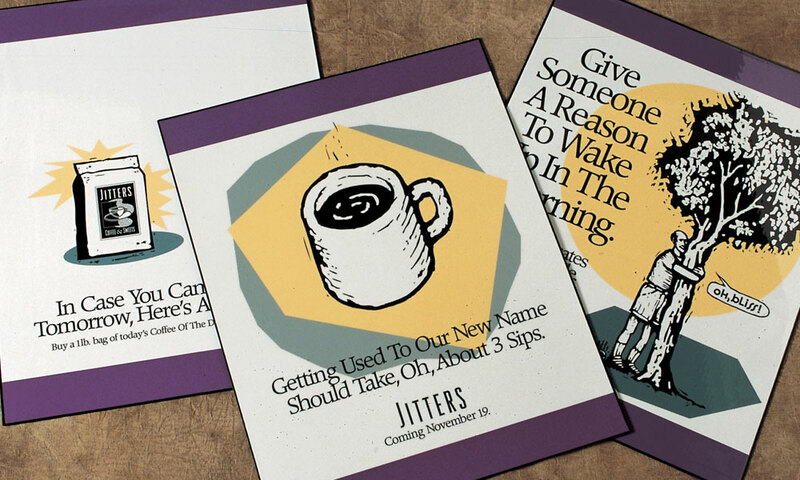 Buy coffee beans or an expresso, get your card punched. Simple but effective. 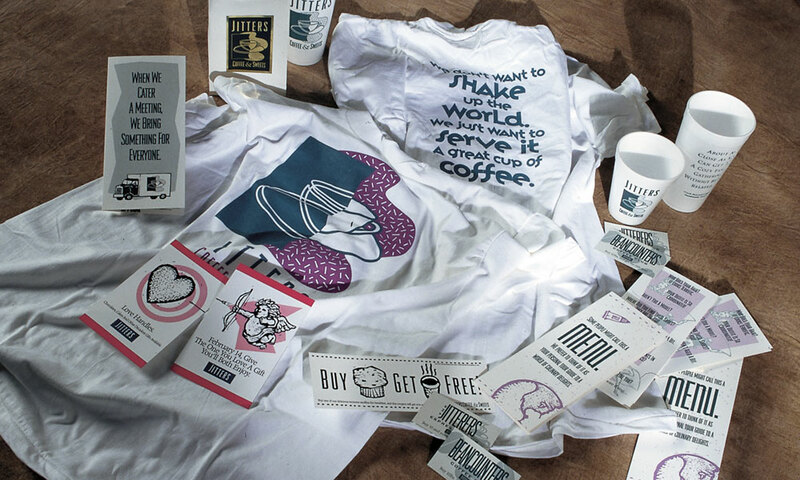 We also designed all their collateral to brand the store: direct mail, coupons, t-shirts, table tents, cups and more. 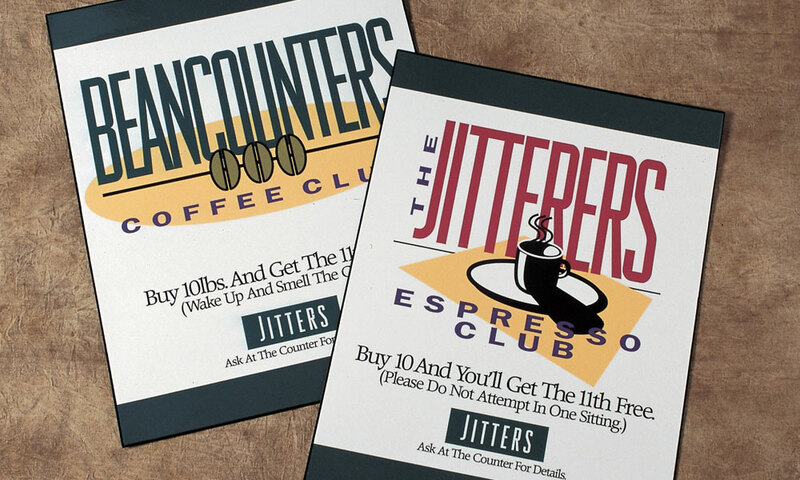 Alas, poor Jitters couldn’t stand up to the Seattle powerhouse, but for over 8 years, it was a favorite in Orange County, CA.